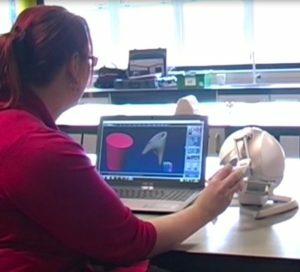 Innovate UK has awarded the Touchable Universe consortia funding of £80,000 to conduct a proof of concept study on the value of haptics in education. The award comes as a result of Innovate UK launching its first ever education technology competition. Over 250 companies competed for the grant, which aims to stimulate innovation in education and grow the growing UK EdTech economy. The project will run from October 2014 to March 2015. The most successful of the eight funded companies will then be assessed for second stage funding to develop working prototypes. Contrasting the feel of a hard and slippy tooth with a soft and squidgy gum.